On Friday, October 25, a three-judge panel from Montgomery County Circuit Court reduced the sentence of former Army Ranger Gary Smith from 28 years to 15 years. With Smith’s 7 years of time served, he will be eligible for parole in 6 months. 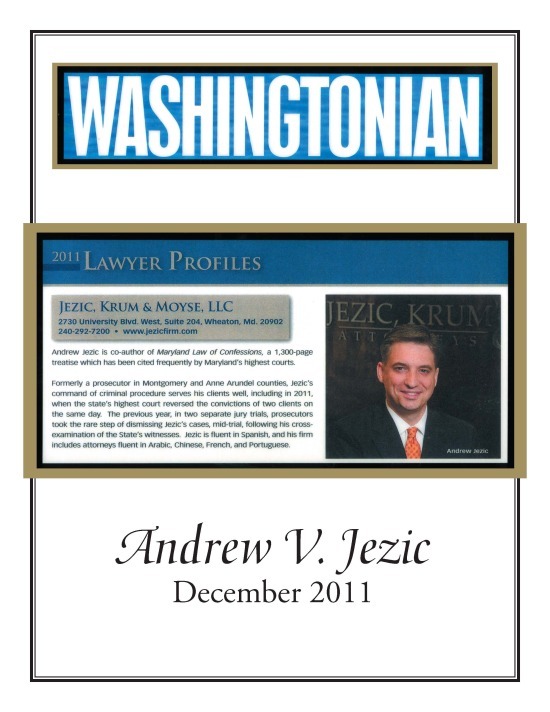 Mr. Jezic and Mr. Moyse have been Mr. Smith’s attorneys from the day after the death of Mr. Smith’s close friend and former Army Ranger buddy, Mike McQueen, in September of 2006. In November, 2006 Mr. Smith was charged with first degree murder despite passing two polygraph tests, indicating his innocence. Mr. Jezic secured Mr. Smith’s release on bond the next day – an extraordinarily rare occurrence for a first degree murder charge. The first trial, lasting 11 trial days, resulted in acquittal of Mr. Smith on first degree and second degree murder charges, but guilty on a lesser form of second degree murder, called Deparaved Heart Murder. He received a 35 year sentence. 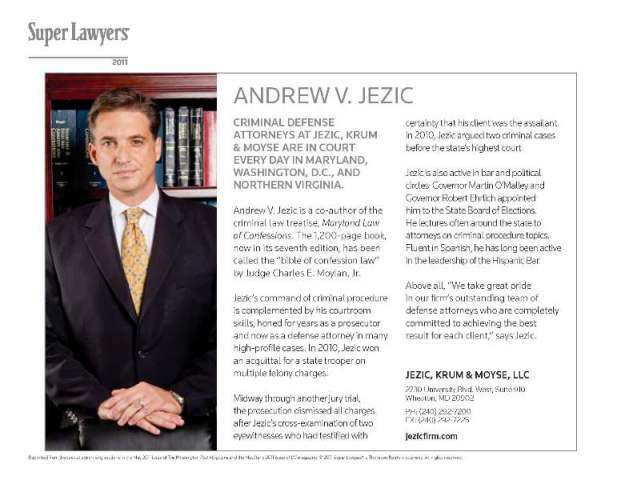 Recommending that the Mr Smith family hire the premier appellate attorney in the State, Gary Bair, Mr. Jezic worked closely with Mr. Bair, who eventually secured a unanimous reversal of the conviction in Maryland’s highest court on November 29, 2011. Mr. Smith was soon out on bond again, and hired Mr. Jezic again after a brief representation by two excellent public defenders. 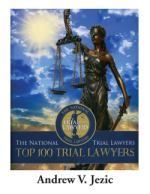 When a critical defense postponement was denied during a very busy trial schedule for Mr. Jezic in the summer of 2012, Mr. Jezic recommended that the Smith family hire, as co-counsel, Barry Helfand and his law partner, David Martella. In a twelve-day trial, Jezic, Helfand and Martella convinced a divided jury in September 2012 to acquit Mr. Smith of Depraved Heart Murder, but the jury still found Mr. Smith guilty of involuntary manslaughter and a gun charge. The same trial judge from 2008 gave Mr. Smith 28 years out of a maximum 30 years, despite sentencing guidelines calling for a sentence of 5 to 10 years. Oral argument is set on December 11, 2013 in the Court of Special Appeals. Mr. Jezic has worked closely with Mr. Smith’s appellate attorney from the Public Defender’s office, Brad Peabody, a veteran appellate lawyer. 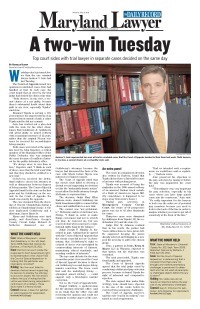 Mr. Jezic is very hopeful for a new trial – a third trial in 2014. ‹ Defendant’s testimony admissible in State’s case-in-chief during de novo appeals.